Without proper planning, retirement accounts could be susceptible to both income and estate taxes. In 2014, the federal estate tax exemption is $5.34 million for each spouse, and that exemption is portable (i.e., if not fully used by one spouse, the balance rolls over to the surviving spouse, if a Form 706 is properly filed). However, most estate planners still recommend splitting assets between spouses because state estate taxes are not portable (i.e., if you don’t use it, you lose it). And the federal generation-skipping exemption (also $5.34 million) is not portable. And so we arrive at a problem: There is only one step-up in cost basis at the death of the first spouse to die, not again at the death of the surviving spouse. Most (if not all) state estate taxes are lower than the capital gain rate. For example, the Massachusetts estate tax rate (using the Credit for State Death Taxes) rises to 16 percent for the value of estates over $10,000,000. The highest federal capital gain rate is 23.8 percent (20 percent plus the Affordable Care Act (ACA) add-on of 3.8 percent at that level). As a result, we are working with widows and widowers looking at moving the family trust (or bypass trust, or credit shelter trust) back into their taxable estate to get a second step-up in cost basis. The Mother died when the exemption was only $600,000. Her estate carved out that $600,000 into a family trust held for the benefit of her surviving husband and will then pass to their children upon his death. The cost basis of those assets stepped-up to $600,000 at her death. Today, her trust has grown to $1.5 million. If inherited by her children, upon the death of her husband, they could incur capital gains on $900,000. Using a 20 percent rate to cover state and federal capital gains, for example (could be higher or lower), they would pay $180,000 in income taxes (capital gains tax). 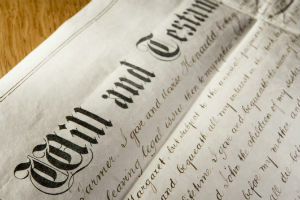 If her $1.5 million were added to her husband’s current $1.5 million estate, the heirs would have a full $3,000,000 of cost basis and not incur capital gains if they chose to sell the assets after their father’s death. If the surviving spouse now lives in a state with no estate tax, clearly that’s a winning strategy. But, what if the husband lives in Massachusetts? An estate of $1.5 million would result in estate taxes of $64,400. An estate of $3 million would result in estate taxes of $182,000. That’s about the same as the capital gain tax of $180,000. But, the family would have had to pay the $64,400 estate tax on father’s $1,500,000 of assets and the $180,000 capital gain on mother’s $1,500,000 of assets, if they chose to sell them. This would yield a total tax of $244,400 instead of only the estate tax of $182,000. That’s a savings of $62,400. Clearly, you need to look at the appreciated value over the cost basis versus the state estate tax to make the correct choice. Consider another scenario: Parents who currently receive K-1 income from an S-Corp or LLC. They could gift some or all of their equity value (up to the $5.34 million exemption, each) into a properly drafted irrevocable trust without incurring federal tax. The trust itself, but trusts hit the 39.6 percent top income tax bracket at only $12,150 of income. That’s the same rate that single individuals hit at $406,750 or married couples filing jointly hit at $457,600. The grantor, but he, she, or they may be in a higher income tax bracket than other direct family members. Or the beneficiaries, who may be in lower tax brackets. Assume, for example, the parents need to pay a college tuition bill for one or more of their children at, say, $50,000. In the parents’ income tax bracket, they may need to earn $75,000 or more to net that $50,000. However, if some of the K-1 distributions could be diverted to grandparents, the latter may need only $60,000 to net the same $50,000. Then the grandparents pay the college tuition for their grandchild. The $14,000 annual exclusion gifts can be exceeded for direct payment of qualified education expenses or healthcare costs. Children are in their parents’ tax bracket, under the Kiddie Tax, until they are 19 if not full-time students (otherwise 24). So, an older sibling could receive income from the trust and pay for a younger sibling’s tuition. The same strategy works for the payment of life insurance. If parents are paying a $10,000 premium with after-tax dollars, they would need to earn $15,000 pre-tax. Their parents may need to earn only $12,000 to net the same $10,000. If the income-producing asset is in the same irrevocable trust holding the life insurance, then we would no longer need crummey notices, or split-dollar. Retirement accounts are usually the biggest assets in peoples’ taxable estate. Without proper planning, the value of these accounts could be susceptible to both income taxes (federal and state) and estate taxes (likely just state), without the benefit of the Income in Respect of a Decedent (IRD) deduction in the case of a “stretch” IRA. What if the decedent had adequate life insurance to fund the income taxes payable upon a Roth conversion at death? With a surviving spouse, a spousal IRA can be converted to a Roth IRA. An inherited IRA cannot. You die, but with a surviving spouse. If properly rolled over to a spousal IRA, the latter can be converted to a Roth IRA. You die without a surviving spouse, but you had warning of your death. You could convert your traditional IRA to a Roth IRA before you die. If next April 15th you are alive, you can reverse the election. If next April 15th, you died last year, your family has the death benefit proceeds in time to pay the income taxes. And they now benefit from assets growing tax-deferred, with tax-free required minimum distributions. You die without a surviving spouse and with no warning. In this case, your heirs cannot convert to a Roth, but they have the funds to reimburse the income taxes that they incur upon required minimum distributions.